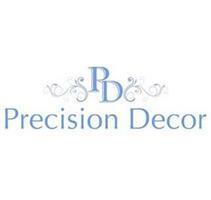 Precision Decor - Painter/Decorator, Plasterer based in Rednal, West Midlands. Precision Decor are bespoke painters and decorators. All interiors and exterior painting is undertaken. We offer an honest and friendly service and we aim to provide the highest quality workmanship on all our projects. With our experience and knowledge every job will be completed to a high specification. We use the latest cutting edge technology on our residential and commercial projects, please ask us for details. Did you know about uPVC Conservatory and Window Paint Spraying? The conservatory looks fantastic after four coats of specialist uPVC Spray Paint. You would think this is new seeing it for the first time. We provide high-quality onsite uPVC paint spraying services. Our quotation process is very thorough and professional. Having your existing kitchen sprayed can save you a fortune, not to mention that you won’t need to redecorate the walls or have tiles replaced. When kitchens get ripped out, the walls get damaged and the tiles need to be replaced. It means reskimming the damaged areas, replacing tiles & internal painting. An airless paint spraying system gives a glass-smooth layer of coating over surfaces that is practically impossible to achieve using a brush or roller, to a high end finish.